My hand is there for scale. 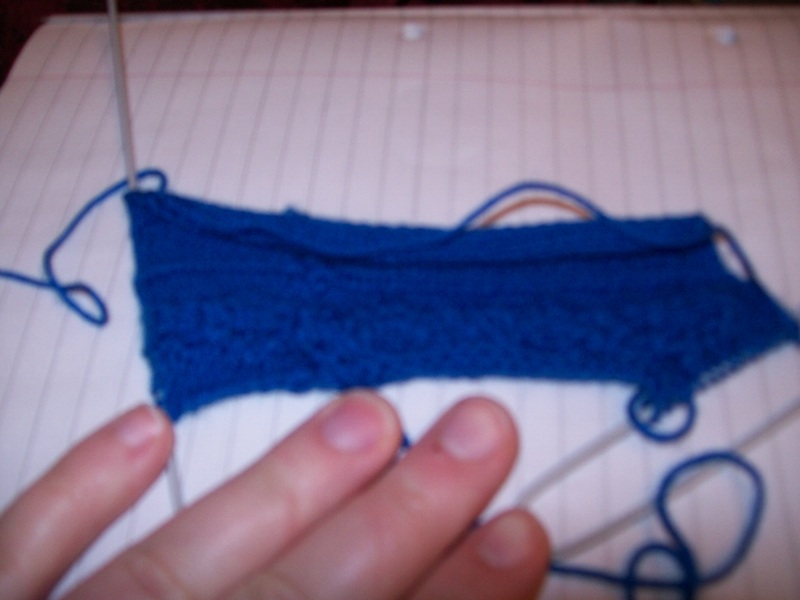 That is the cuff of the first glove of a pair that will (hopefully) become my mum’s christmas present. It is the kingdom pattern from knitty done on 2mm needles. I must be mad. This entry was posted on December 6, 2009 at 10:34 pm and is filed under Uncategorized. You can follow any responses to this entry through the RSS 2.0 feed. You can leave a response, or trackback from your own site.